Gun show is a popular event in the US that happens temporarily. It is a form of gathering or exhibition of different types of guns and accessories such as firearms, knives, literature, firearm accessories and many more. Aside from this, there are also collectibles available that is being displayed, sold, traded, bought, and discussed. Upon entering a gun show, it typically involves exhibition that relates to hunting including the preservation and preparation on the wild game. This type of event is used by manufacturers of firearm in introducing new models of firearms. Engaging in this event you can find here a wide variety of choices of guns such as the unusual or antique ones. Gun shows are not only made to sell guns that are cool and unique instead this is also a perfect places where you can meet other people who are shooters or gun enthusiast and discuss with them certain topics that involves guns. The common venue on this type of event is usually on public places or buildings, malls, hotels, armories and many more. The good thing about this is it is open to the public you just have to pay the nominal fee for your admittance. The event is held for two days which is typically on weekends. Promoters are leasing space which at the same time allows dealers to display wares and rent tables for the upcoming gun show. In 2000, the gun show in US gained controversy about the event claiming that the show was a source for trafficking firearms. These served as the gun show loophole which earned the attention of the public. This type of cases does not only happen locally but also internationally. That’s why in order to stopped illegal trafficking of firearms they have set certain rules that are not in favorable to gun shows. Including to this is requiring dealers of firearms to get a license on federal firearms and performing a background check of agencies before transferring the firearms. This was a big issue to the dealers on gun show since there is a loophole being found that that the firearms are convicted to felony and other issues that are prohibited regarding purchasers. Including to this is substance abusers, domestic abusers and many more that relates to evading background check where people can easily purchase firearms from sellers that are private. Base on research in 2000 of the ATF or the Bureau of Alcohol, Tobacco and Firearms that there was an estimate of 1,530 that deals with trafficking investigations. This type of crime is known to be a 2nd source that leads to illegal diversion of guns over the nation. With regards to the investigation there was 84, 128 total number of firearms that involves on trafficking, but on the report there was over 26, 000 firearms that was illegally sold. 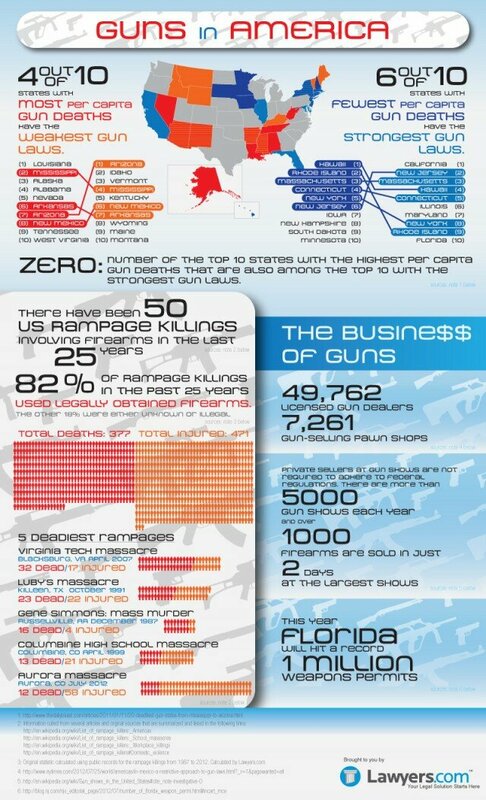 This are the some of the gun show loophole statistics present in the US. There are still other more reported gun shows that involve trafficking of firearms which needs to be given attention. This only shows that there are many people today that are engaging into illegal firearms.